Calendar: «Liberation Day in Guam». «Freedom» illustrated quotation. Liberation, free quote pictures for Facebook, Twitter, LinkedIn, Reddit, Pinterest and other social networks. 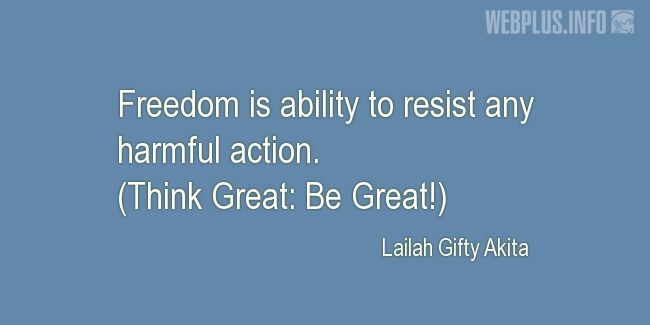 Freedom is ability to resist any harmful action.